Normalized row and column data representations may require compaction to a de-normalized layout by rotating rows into columns. This is a common requirement in statistical cross-tab reports. 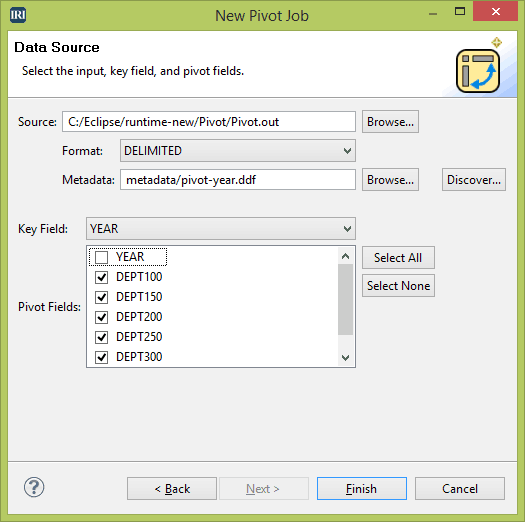 To pivot efficiently and prevent duplicate rows, the data should be pre-sorted. In other tools, that step is separate, and slow in volume. Normalizing de-normalized content, or unpivoting presents other issues. For example, rows can have unexpected values or be missing entirely when the column values were null or zero. Sorting after is separate. 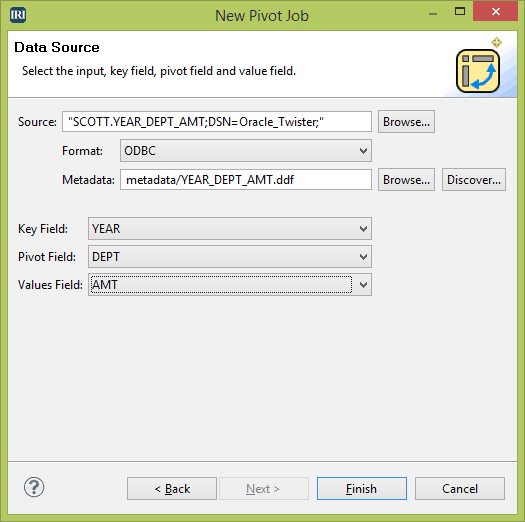 SQL pivot and unpivot commands, where available, are not always simple or portable across databases. ETL tools can require complex aggregate or union transforms (with "ports" and "expressions"), or specific pivot/unpivot transform editors with many properties to configure. SQL CrossTab scripts are also clunky, and of no use for remapping fields and records in a flat file. XSL "for-each" transforms to flatten XML files are even more complex. Then there is the question of how all these methods perform in volume. The SortCL program in the IRI CoSort package or IRI Voracity platform transposes rows and columns while also supporting other transformation, cleansing, masking and reporting functions at the same time. You can define pivot and unpivot operations through an ergonomic job wizard in the IRI Workbench GUI, and/or simple 4GL job script. The New Pivot Job wizard in IRI Workbench takes you through the necessary column specifications for any data source.